After arriving in USAC Puntarenas, I was shocked by the moderately small building standing before me. I suppose I had anticipated a university the size of a small town, similar to mine back home, but quickly I realized USAC Puntarenas was not a typical campus. Instead, it is two two-story building, filled with classrooms, two kitchens, two computer labs, a pool, gym, and pool/ping pong tables, all enclosed within bright green walls. 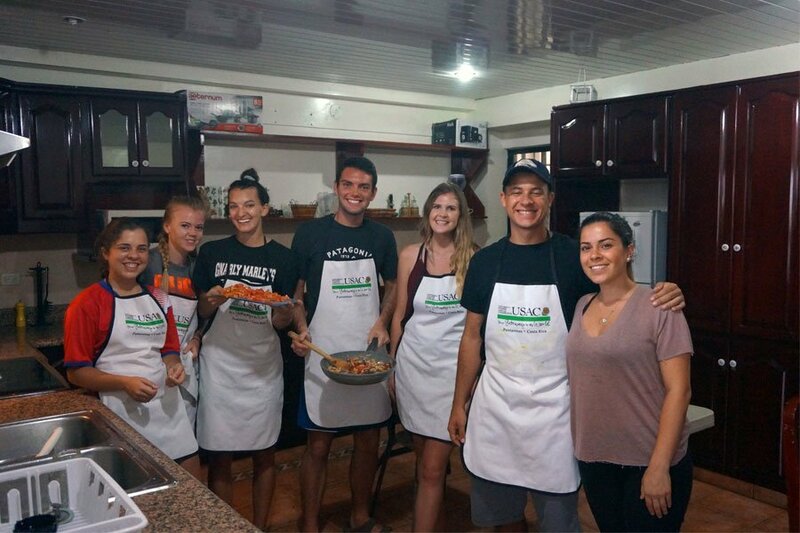 USAC has partnerships with local universities and organizes days for USAC students and Tico students to interact, but classes provided through USAC serve only USAC students. USAC Puntarenas offers 4 Spanish language tracks ranging from Elementary Spanish 1 to Advanced Spanish 2. Each track offers multiple courses per semester. For example, for one semester in Track 1, you will be completing Elementary Spanish 1, Elementary Spanish 2, Intermediate Spanish 1 and Intermediate Spanish 2, finishing with 14 credits total. Sounds crazy, right? Normally, classes are held Monday- Friday, 8am-11am, making it intense, but doable. Coursework comparison from abroad and home is a tricky analysis. Considering each course is completed in roughly 3-4 ½ weeks, you’re completing a semesters worth of homework in only 3-4 ½ weeks. While that sounds hectic, it’s really not that much work. On average, I spent 1-2 hours a night studying, sometimes more, sometimes less. The class sizes are rather small, usually 7-15 students. This was nice because it gave us more one-on-one opportunities with the instructor and an overall more focused environment. For more information on the track courses, follow this link to USAC’s information page. Conversation was one of my favorite classes for a variety of reasons. The students came from intermediate to advanced classes, which ultimately benefitted everyone. It gave the intermediate students the opportunity to listen and converse with the higher-level students, and higher level students could review some of the fundamentals. The instructor, Christian, frequently took us on walks to get ice cream or smoothies and along the way he would share the history of the area, quiz us on the names of things we would see, and introduce new words. On special occasions or just random days, we would have “coffee and conversation”, where Christian provided his favorite coffee blends, cookies, and other treats, and we would discuss the news, culture, history or any topic that came to mind. Christian constantly offers (free) tutoring and is flexible to meet your time needs. 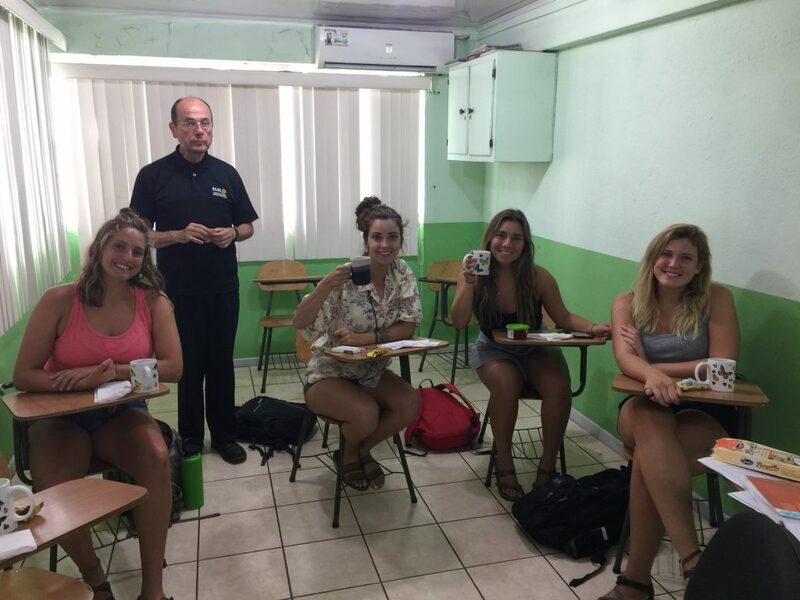 The focus of his class is to get you comfortable speaking Spanish and he goes above and beyond to ensure that you do. 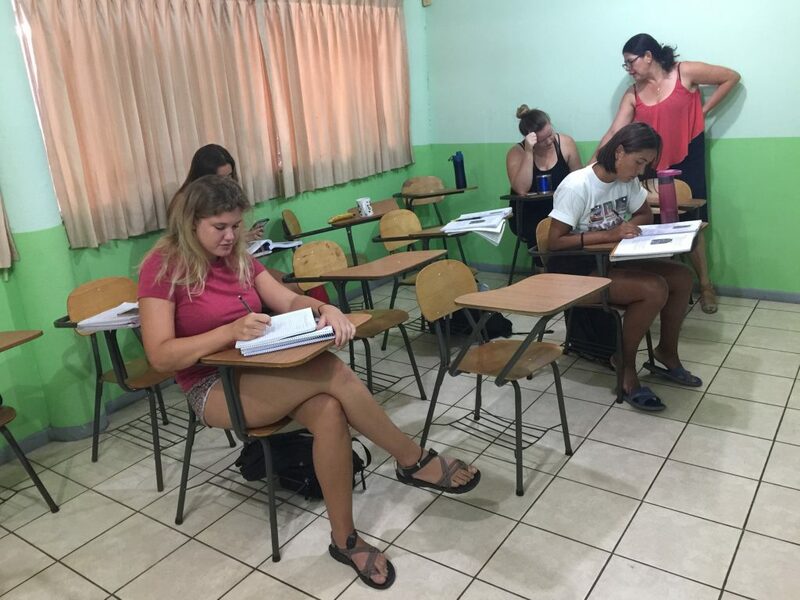 USAC Puntarenas has many culture classes including Latin American language and literature (cinema/ short stories) and Latin American/ Ecological studies (history and society, dance, government and politics, cuisine, survey of art, surfing, etc.). Students are immersed in the culture via books, movies, music, and hands-on activities. After school, students continue to learn about the culture simply by everyday life. Puntarenas is a rather small city and it is easy to become familiarized with the locals. Ticos often set up chairs outside their homes and pass time socializing with friends and family. 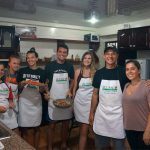 Living with a host family significantly helps students understand the local way of life, family structure and behavior, and their charming foreign quirks. Studying abroad is the only way to thoroughly understand and appreciate a country and the culture of its people. So in conclusion, I went to Costa Rica expecting to improve my Spanish, experience a new culture, and live in a climate completely different than my own. In addition to exceeding these expectations, I also returned to the states with a new sense of self, cultural sensitivity, and an appreciation for long-term traveling. I believe that regardless of where you decide to study abroad, the experience of genuine vulnerability, creating a routine that suits new cultural norms, and that sense of familiarity you find in a foreign place teaches you more about yourself and the world than any culture class or simple vacation could. The only thing I would do differently in Puntarenas would’ve been to take more classes that aren’t offered at my university, pack more sunscreen and peanut butter, and utilize more of USAC’s facilities. Other than that, my time abroad was simply perfect. Kaitlyn Lera is a University of Nevada, Reno student. She studied abroad in Bilbao, Spain and Puntarenas, Costa Rica and served as a Digital Communications Intern for USAC. 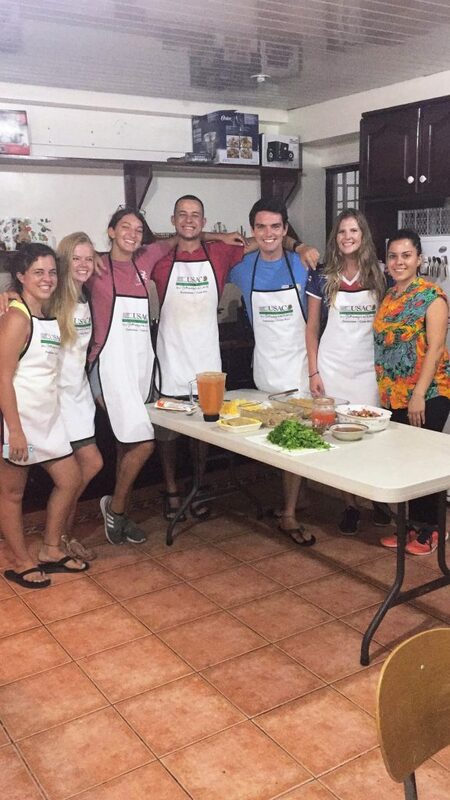 You can read Kaitlyn’s other posts about her time abroad here.